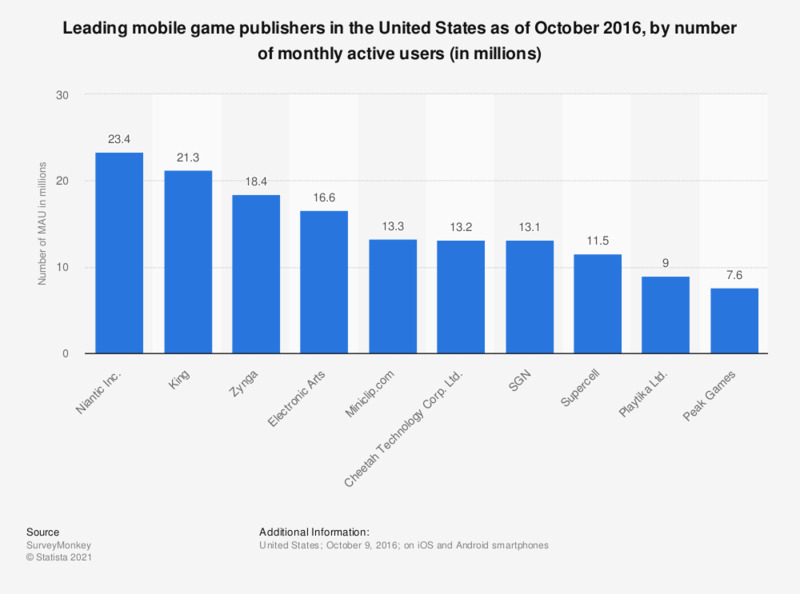 The statistic highlights the leading mobile game publishers in the United States as of October 2016, ranked by number of monthly active users. In the measured period, Zynga was the third most popular mobile games publisher, based on the 18.4 million MAU across all of its mobile games. Niantic, Pokémon Go publisher, was the leader in the ranking, with 23.4 million MAU.